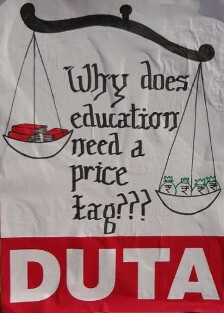 The DUTA elections scheduled for 25 August 2011 are taking place at a time when the onslaught on higher education under the neo-liberal agenda of the UPA Government has increased manifold. There is an attempt to withdraw state funding from higher education and to push existing public institutions towards generating their own funds. Instead of investing money and energy in establishing more institutions providing quality education, the MHRD looks at fragmentation of the existing universities as a way to create an illusion of expansion. This assault on higher education is amply clear from the bills pending before the Parliament, which include the Foreign Educational Institutions Bill, the Educational Tribunals Bill, the Universities for Innovation Bill and the National Accreditation Regulatory Authority for Higher Educational Institutions Bill These bills not only aim at facilitating private players within the country and abroad to sell education as a commodity but also to decrease the democratic spaces within the Universities. Today the Central Universities are being arm-twisted by the MHRD to align themselves to the academic calendar and teaching programmes of American universities. The semester system has been forced upon DU. The university administration has chosen to follow diktats of the MHRD instead of standing committed to maintaining academic standards and the democratic practices necessary for the free exchange of ideas and debate. The interim High court orders were used by the DU administration to implement the semester system in an unacademic manner. The UGC regulations relating to service conditions of teachers are a clear design to deny promotions. The irrational attempt to quantify academic and other institutional work done by teachers on the basis of a point system would lead to both a flight of talent from the teaching profession as well as a decline in quality of education. The task ahead for a responsible Teachers’ Association is to organize collective resistance to this assault through reasoned argument and mass action. The goals of expansion, equity and excellence in education at all levels are mutually complementary and should be pursued harmoniously through greater public investment and public control over education. 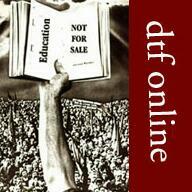 The DTF stands committed to resist Government policies of privatization and commercialization and to work towards a better academic environment at the University. 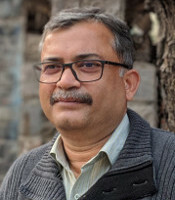 Amar Deo Sharma has been long associated with the teachers’ movement and has been elected to various posts including that of DUTA President, DUTA Joint Secretary and Member, Academic Council. 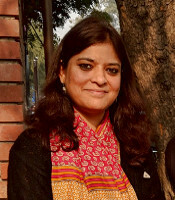 Abha Dev Habib was twice elected to the Academic Council (2006-08, 2008-10). She is also the Secretary, MH Staff Association. 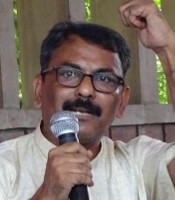 Giriraj Bairwa is an experienced activist and was elected to the DUTA Executive twice earlier. 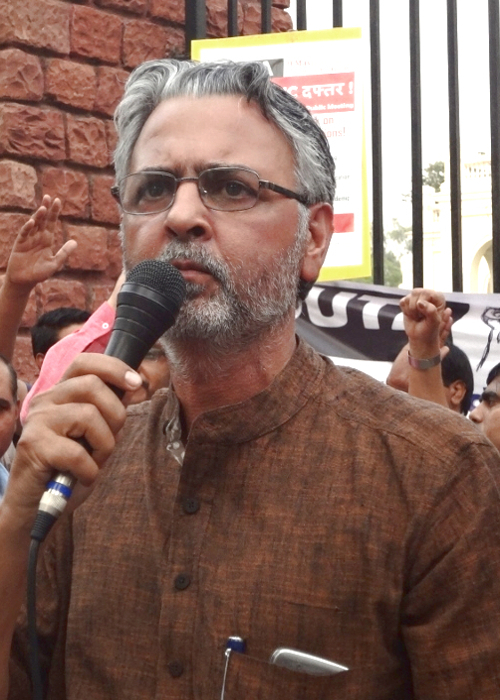 Anil Kumar has been associated with the teachers’ movement actively for the last few years. 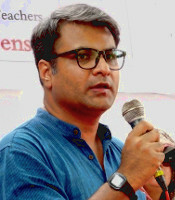 Saikat Ghosh has contributed to energize the Association at Khalsa College and has actively participated in the teachers’ movement on the semester system.